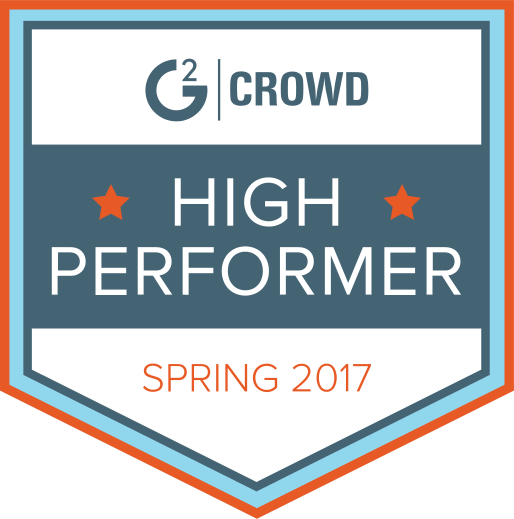 In addition to guest posting on the UpCity blog, Big Gorilla Design is featured as a Top Digital Marketing Agency in Austin. Check out their profile here. 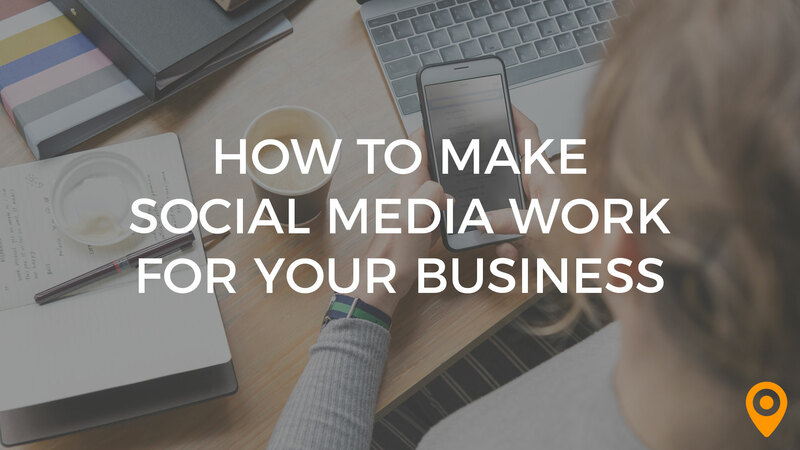 Currently there is an abundance of tools and software on the market that are meant to make an agency’s job easier. Working your way through the fray can be, frankly, exhausting. But there are certain tools that are an absolute necessity for a web design agency to have, including wireframing tools. Depending on the agency or designer, the wireframing tool of choice may vary. 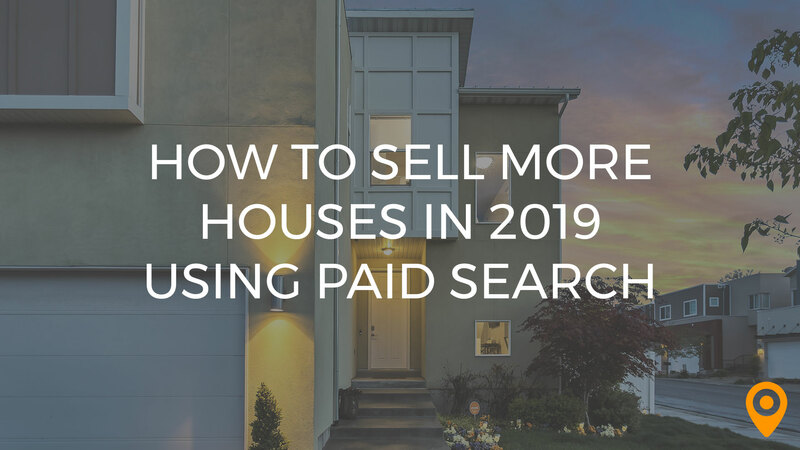 The good news is there’s something on the market for everyone. Whether you’re looking for free tools or more advanced tools that handle wireframing, prototyping and more, nowadays you can really find a great tool that pretty much handles all of your needs. Wireframing is one of the most important stages of a web design process, and it can sometimes be under-utilized by designers. Not only is it important for clients in seeing how the website will flow and the overall experience in a stripped down environment not colored by design, but it’s a very useful part of the planning & strategy process. In addition to defining the layout of a website, wireframes also help define the content on the website. Some designers tend to think of content as a less important aspect in the overall site and its structure. Not so! Content is a very important ingredient in the strategy process, not to mention important for your client’s SEO. Another great benefit of wireframing is it invites early collaboration with all team members and parties, including your clients. Any concerns or questions can be voiced and addressed early on, which helps immensely in lessening changes at later stages and cutting down on time and overall costs. 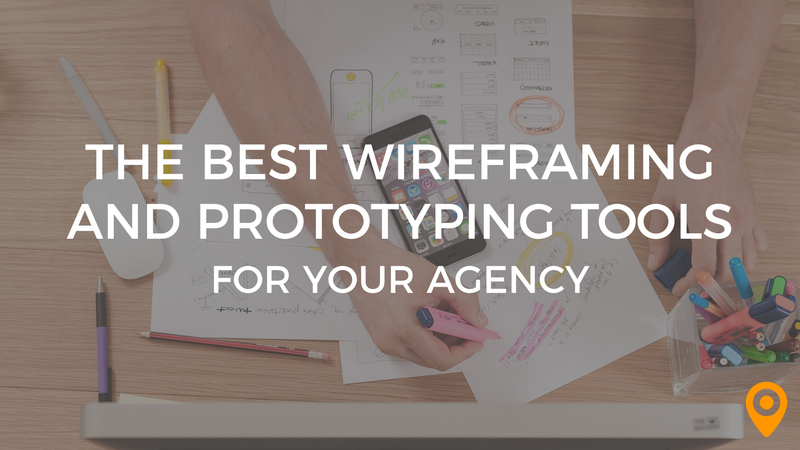 So What Are Some Great Wireframing Tools to Try? Like everything, the amount of available wireframing tools is extensive, and for those who don’t have time to test out hundreds of tools (which is most of us), here are a few that we’ve tried or used throughout the years that may pique your interest, depending on your needs. Balsamiq is a great tool for those just starting out with wireframing tools, and for those whose needs are fairly low-key. Balsamiq allows you to relatively quickly create full site wireframes with some interactivity via buttons, navigation links, and other links on the pages. It’s very easy to use and offers different elements to add into your pages, in an easy drag and drop fashion. Its relative ease of use and low cost ($89 to purchase the desktop version; and starting at $12/mo with three active projects for the online version) make it a great resource for those whose needs aren’t highly complex. Balsamiq also allows for some different ways to share your wireframes with other members of your team or your clients, whether that’s incorporating them as project members, via creating interactive pdfs, or via sharing a special link with them. One element that can be a little off-putting is that the sketch interface and the font used in Balsamiq are a bit comical looking. Balsamiq claims this keeps your clients reminded that the wireframes shouldn’t be thought of as a final product, but toning this down a bit might be helpful, as it adds a somewhat silly looking touch to wireframes. Despite this issue, it’s still a useful tool for those getting their feet wet with wireframing tools in general. Balsamiq comes with a 30-day free trial to explore its features. When you need something more advanced than Balsamiq, but you don’t want a full-on prototyping/design tool, Pidoco is a good choice. The benefit of Pidoco is it does come with both wireframing and prototyping features, allowing for more functionality in terms of interactivity, as well as better collaboration among team members and clients. With Pidoco, team members and clients can add comments, similar to how one would add a comment on a PDF. There are also a variety of ways to share the project with others. The program also allows for a more specific and advanced planning and layout of pages. Another noteworthy feature of this tool is that you’re able to export your wireframes and prototypes to html for usability testing. Like Balsamiq, Pidoco offers a drag and drop system. 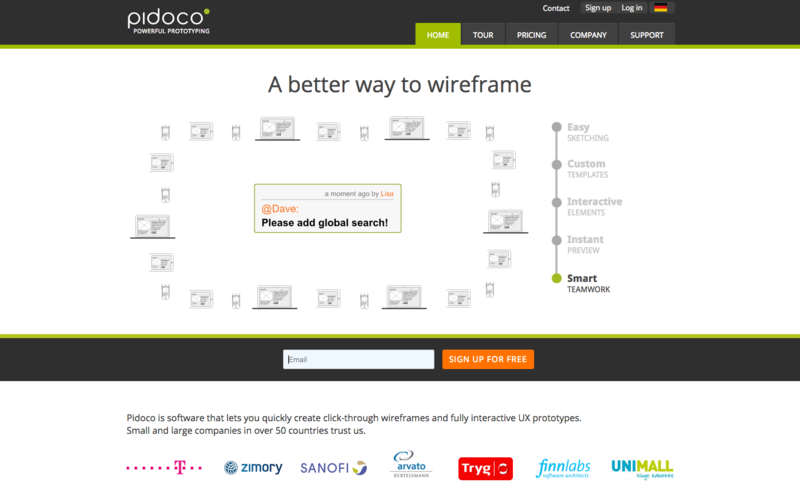 In addition to website wireframing, Pidoco also has a pretty good platform for wireframing and prototyping mobile apps. Though Pidoco has a sketch-like interface, it’s less comical looking than Balsamiq’s and can be turned off in favor of using a plain design. If you’re looking for a program that’s easy to use, but still has the basic wireframe look and feel, while allowing for more usability and functionality, Pidoco is an excellent choice. Pidoco offers an online version only. Pricing starts at $14.99/mo for two active projects ($12/mo if you pay annually). You can also test it out with a 31-day free trial. Axure is probably one of the best-known wireframing and prototyping tools. 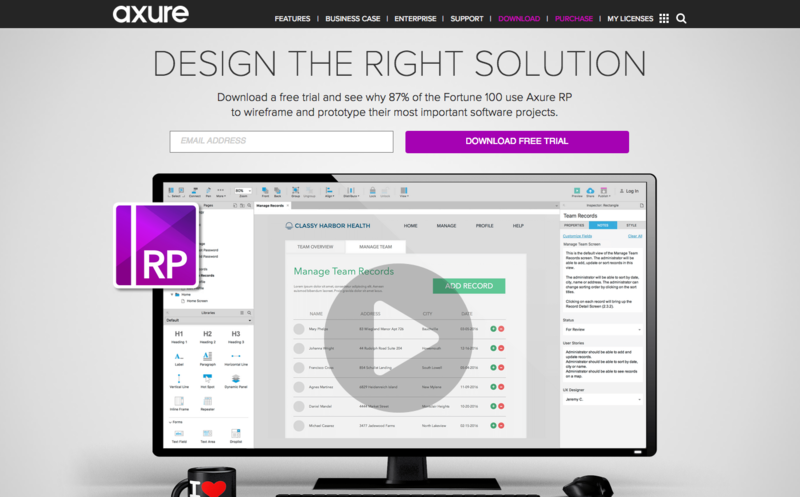 When you have a need for more advanced testing and prototyping with your wireframes, Axure is a great resource. 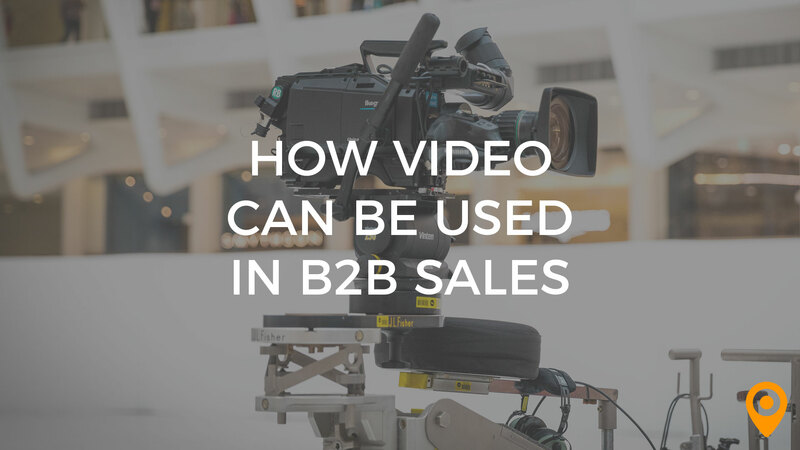 Not only does it come with excellent features like dynamic content, animations, math functions, conditional logic, and more, but it allows for adaptive viewing as well. Its clean, modern style in terms of its elements is also appealing. Axure has a drag and drop interface, some advanced team and collaborative communication tools (available in the team version and up), and is used by many of the Fortune 100 companies. Axure projects are also easy to share with clients through an easy one-click process. If you need more advanced functionality and prefer a cleaner interface, Axure is a product to consider. 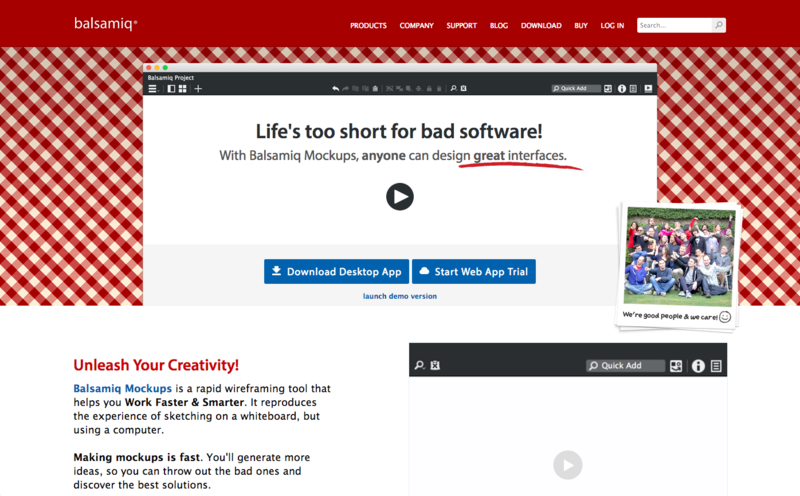 Like Pidoco and Balsamiq, it also comes with a free trial. Pricing is a bit more expensive with Axure than the others; you have two choices for purchase – one is to buy the product outright (with prices beginning at $495 for individuals and $895 for teams). You can also pay monthly, with prices starting at $29/mo for Pro and $49/mo for teams, as well as $99/mo for the Enterprise solution, which comes with the ability to host your own projects and publish them to your own server, among other things. Need to Add Some Additional Design to the Mix? If your needs involve tools where you also want to incorporate more of the actual design into the process, take a look at Just in Mind (starting at $19/mo), InVision (Free and higher), and UX Pin (starting at $29/mo). 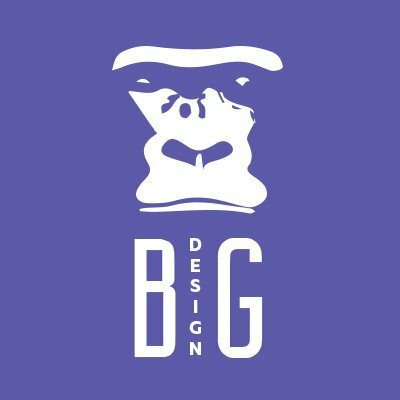 Monica Sirignano is the Creative Director of Big Gorilla Design, an Austin website design, marketing, and branding firm.